Track-focused beast given an additional 100 horses. 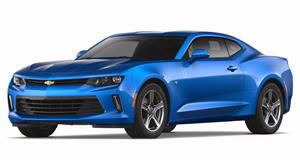 American muscle car specialist GeigerCars has revealed its latest project based on the Chevy Camaro Z/28. The Munich-based tuner has created a performance package for the track-focused Camaro, boosting the Z/28’s 620 hp and 534 lb-ft of torque – an increase of 108 hp and 53 lb-ft. There’s no word on performance, but the stock car managed to lap the Nurburgring in 7 minutes 37 seconds. Taking two days to install, buyers will have to part with 13,000 Euros for the privilege.